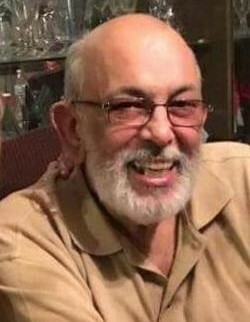 Obituary for Jose R. Vega | Rodriguez Funeral Home, Inc.
Jose R. Vega, age 71, passed away on January 27, 2019 in Philadelphia, Pennsylvania. Jose was born in Caguas, Puerto Rico to the late Luis Vega and the late Cecilia Ramos Diaz. He leaves precious memories of him to be cherished by his loving wife Wanda I. Vega; his children Roberto Vega, Nadine Vega, Marion Vega, Jeannette "Cookie" Vega, Cecilia Vega, Toffy “Pito” Vega; stepchildren Aixa Underwood and Yaritza Locket; his siblings Carmen Lydia Brexendorf- Vega, Linda Lopez-Vega, Georgie Vega and Nancy Vega. Jose is also survived by grandchildren and great grandchildren. Jose now reunites with his parents Luis Vega and Cecilia Ramos Diaz; and his siblings Socorro and Ana. A viewing will be held on Saturday, February 2, 2019 from 10am to 11am followed by a service of comfort at the Rodriguez Funeral Home. He will be laid to rest at Magnolia Cemetery.